There are two desserts I hold dear: pie and pudding. And when I say pudding I do not mean the stuff you can get in a cup. No, I am referring to British pudding. 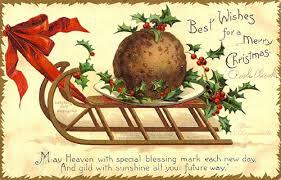 You know "....Now bring us some figgy pudding." Well as you found out last week, my all time favorite is sticky toffee pudding, which contains dates instead of figs. 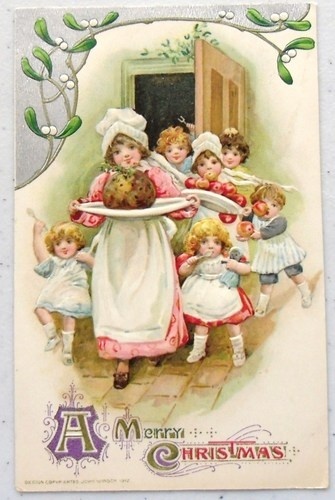 Guess for me its "Now bring us some date-filled pudding." Now the tricky thing about the term "pudding" in the U.K. is that is can describe both sweet and savory dishes. 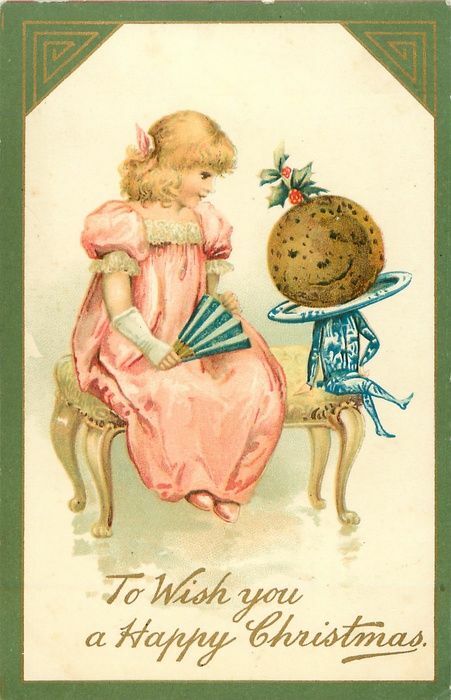 Typically people lean toward the use for dessert, but as you will see in today's installment of vintage cards - savory puddings are well loved (ever heard the term black pudding? Well its a savory dish consisting of blood sausage). 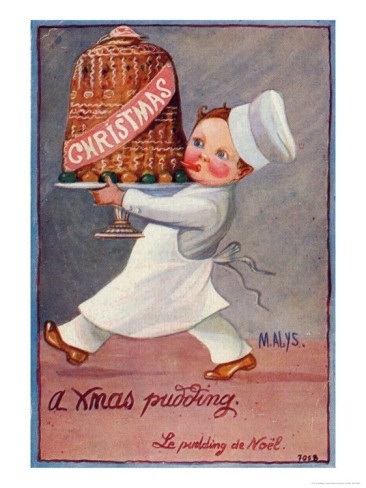 Here is a collection of curated vintage Christmas Cards - that happen to include/ feature pudding (cards collected mostly from Pinterest). 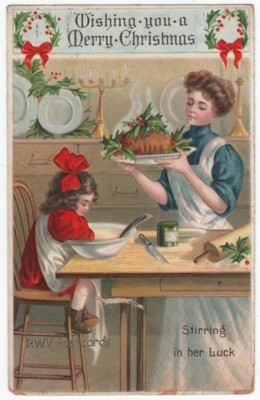 I hope you will enjoy and find inspiration to make a pudding this Holiday season.